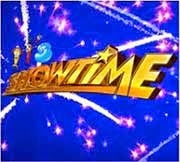 Gandang Lalake is set to launch on ABS-CBN's noontime variety show "It's Showtime" following the highly successful Gandang Babae segment. The show has started airing a teaser for the upcoming segment which is expected to feature boys who transformed into good-looking men. Basically, it's a counterpart of the recently concluded beauty and brains contest for ladies won by Chatterlie Mae Alcantara Umalos, the Gandang Babae 2014. The term "Gandang Lalake" made it to the top trending list on Twitter as female and gay viewers express excitement to watch some eye candies on noontime TV. Aside from that, male netizens also sought information as to the requirements and on how to join. During the Gandang Babae auditions, which were held Monday to Friday from 3 to 5 p.m., producers were looking for contestants aged 18 to 23 years old. They were required to bring a valid ID and birth certificate. If you're one of those searching for details about Gandang Lalake, just bookmark and visit this page in a later time for an update.